Congratulations to OCAF Chair John D McKellar, C.M. for being awarded The Ramon John Hnatyshyn Award for Voluntarism in the Performing Arts (RJH). The 2016 Governor General’s Performing Arts Awards (GGPAA) will honour seven new laureates (including John) at its annual gala, which takes place June 11 2016, at the National Arts Centre. Named for Governor General Hnatyshyn, who created the GGPAA in 1992, the RJH Award recognizes outstanding contribution by an individual or group in voluntary service to the performing arts in Canada. To read the full OCAF press release, click here. 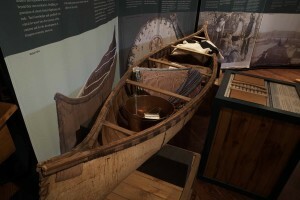 The Canoe: A Canadian Cultural Icon will celebrate the history and cultural impact of the canoe, from wood-and-bark conception by First Nations peoples to modern fibreglass structures. The exhibit will kick off this Saturday (April 23) with Canoe Tripper’s Rendezvous – visitors are encouraged to dress in their canoeing best as they tour the exhibit, enjoy local musicians and outdoor- and nature-inspired activities. Kids, teens and adults across Ontario have been branching out this spring with the Festival of Trees! Since March, readers of all ages and skill levels have been experiencing great Canadian literature through the Forest of Reading program. These readers are sharing their experiences on social media (you can follow all the action on Twitter @ForestofReading and Facebook at Forest of Reading) and voting on what they think is the best of the best. These votes, taking place across Ontario, will continue until early May, when the winners will be announced at the culminating Festival of Trees. The Festival of Trees will take place between May 13 and 27, with the festival popping up in London (May 13), Toronto (May 17-19), and Sault Ste. Marie (May 27). In Toronto, a special Festival des arbres (May 19) will honour great Franco-Canadian authors and readers alike! For more information on tickets and how your can get involved, visit the Festival of Trees website! The concert was the culmination of the 2015/2016 season for Soundstreams, which has featured collaborations with Canadian Stage, the Gardiner Museum and other cultural institutions in Toronto. For more information about Soundstreams, check out their website! Ontario Culture Days has delighted hundreds of thousands of visitors since its inception in 2009. Now in its seventh year, Ontario Culture Days 2016 will reach out to their younger audience with their newly announced Youth Arts Ambassadors Program (YAAP). YAAP has commissioned five young artists across the province to create community arts projects to premiere during Culture Days 2016. From September 30 to October 2, these artists from Sault Ste. Marie to Ottawa will collaborate with dozens of local artists and community organizations to create some truly amazing art in their respective communities. The young artists will also receive mentorship and work on their professional practice with the help of a network of arts leaders from across the province. To stay up-to-date on the YAAP ambassadors, check out the #YAAP feed on Twitter. To read the full announcement, head to the Culture Days website. The 2016 TIFF Kids International Film Festival closes this weekend after over two weeks of youth-focused screenings, activities, and events! This year’s TIFF Kids featured the incredibly popular digiPlaySpace, an exhibition of installations at the intersection of art, digital content, and interactive education. The updated 2016 edition features content from nine different countries and also closes on April 24. To get your tickets for the last few days of this magical film festival, head to the TIFF website.